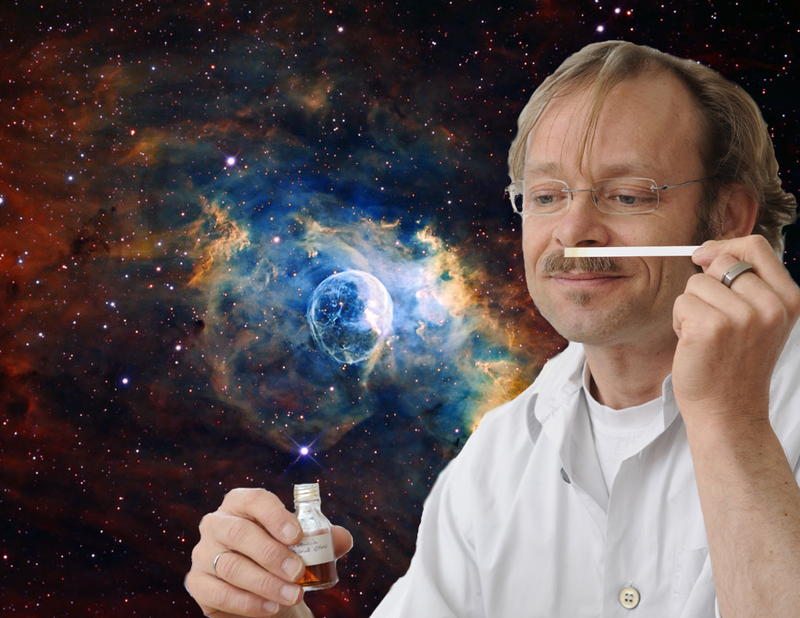 I'm thrilled to feature Andy Tauer as the first perfumer in the Nosy Interview series. Andy is responsible for Tauer Perfumes, a line I fell for hard after Elisa introduced me. Andy lives in Switzerland, and though we've never met, our correspondence has completely convinced me of his reputation as the nicest guy in perfumery. Visit his blog, connect with him on facebook or twitter, and by all means, do whatever you can to get your hands on his glorious creations! First, I smell amazingly different on the outside than inside. In general terms, I find it remarkable that nature found a way to mostly make sure that whatever happens on my inside will not permeate somehow just like that through pores or so. But it does permeate a bit. And hence, my scent is always a scent presenting itself in the moment. My body chemistry, the food and drinks I put it: It all matters, at least a bit. Now, how do I smell? I smell in a way that I personally like. I am convinced that nature sends us out there with a scent that we mostly find ok. A lot of aversion towards body odor is cultural, conditional. It is put onto us. We should learn again to say a bit more “I like the way I smell.” As a perfumer, I wish perfume lovers to enjoy my fragrances not to cover up, but rather to vary and to explore new paths of how we might smell. I think I smell slightly sweet, a bit on the ambery side. There is definitely sweetness to my smell; with the slightest hint of a ripe fruit. It does not compare to any fruit, but maybe a ripe avocado comes closest. I like the way I smell. I like to smell almost everything, natural, manmade, be it made for the purpose of being smelled or not. I like to stick my nose into a lot of what other people would call ugly, putting off scents. There is something interesting in everything. Contrary to what you might expect: I do not visit perfumeries that often and smell things there. I am/was always worried that it might influence subconsciously my own fragrance creations. I wanted to avoid this. I learned for myself quite recently that I should not worry too much there. At the end, it is very simple things that I like to smell. My bed and the pillow, leaves or pieces of wood picked up on my way, the fresh humid air on a foggy November morning. A fresh green apple. I guess I just like to smell a lot of different things. This list could go forever. Perfumes are also many lines in this list. I like this. It'd be interesting to do more perfumer interviews? Yeah, Beth! I'm glad the interview prompted the desperate need to sniff. And Nancy, I agree! I'd love to feature more perfumers. Oh, I just loved this interview! I am going to find Andy on FB as soon as I send this!